It’s fall and that means one thing, Football! 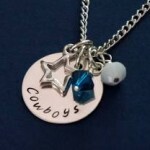 Yes football the game that makes millions and confuses foreigners is back and Dalllas Cowboys fans are ready for a season full of victories. (Yes I said victories) If you are a lady who loves sports or loves the atmosphere of sports (Nacho’s, Beer and screaming? count me in!) This weeks Lust List is for you, check out my favorite fashionable looks for watching a game at any occasion. In the stands: If you are actually attending the game you what to be comfortable but cute you never know when you might get a chance to be on the big screen. Wear cute flats for the inevitable amount of walking. We’re lusting after this pewter pair from sperry that will look great with those cowboys blue tops. 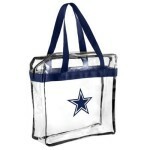 Don’t forget your standard issue clear bag per cowboys regulations your bag should be “Bags that are clear plastic, vinyl or PVC and do not exceed 12” x 6” x 12” (Official NFL team logo clear plastic tote bags are available through club merchandise outlets or at nflshop.com).” That may sound restrictive but it’s fairly simple.You can grab simple styles for 9.99 on the NFL shop official website. In a suite: This is the trickiest of football fashion, you what to show team spirit but look put together and ready for whatever after the game socializing should happen. 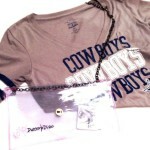 Try a flattering sweater dress is rich navy, tall but comfortable boots and statement jewelry with and big texas hair and for a fun twist on the required clear bag check out local designer deuces to divas line of envelope clutches in clear pvc fabric. 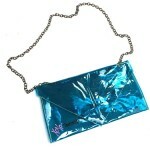 The bags are sturdy and can hold all your essentials. Tweet us your Game Day Glam @DEJOURNAL.